While Carol Moseley-Braun was close to Chicago's Communist Party, other socialist groups also helped her to win elections. In 1991/92, about a third of the members of the CPUSA broke away to form a new organisation, the Committees of Correspondence. Well known members of CoC include black academic Angela Davis, propagandist Noam Chomsky, folk singer Pete Seeger and Timuel D. Black, Professor (emeritus) City College of Chicago and longtime friend and associate of Carol Moseley-Braun. One lifelong communist to join the CoC was Chicago activist Hannah Cohen. Hannah was active in Chicago, in what became a lifetime of political and electoral activism. Throughout the new upsurge of the 60s, 70s and 80s, Hannah was an active participant. She was active in teachers union, peace and community groups in Chicago, and later in the international campaign that won the freedom for Angela Davis. Hannah became a community volunteer in the mayoral campaigns of Harold Washington, and was one of the key volunteers in the election campaign of Carol Mosley Braun, the first African American woman elected to the United States Senate. Chicago was also home to an alliance of remnants of the Socialist Party USA and former Trotskyist and communist activists. This group held an annual dinner, to mark the the birhday of legendary US socialists Norman Thomas and Eugene V. Debs. 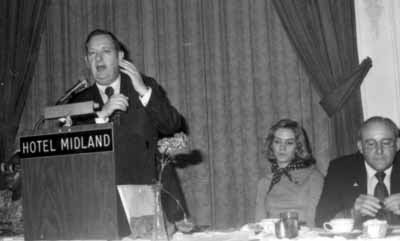 Democratic Illinois State legislator Robert E Mann was closely associated with this group. When Mann stood down in 1978, the socialists looked around for a successor. When former Rep. Robert Mann, one of the House's most staunch veteran liberals, announced his retirement from the House, Braun was asked to consider running for his seat. Moseley-Braun was then elected to the Illinois State Legislature, with socialist support. FFS Trevor a political candidate cannot control which particular crazies flock to their banner. For example your preferred US presidential hopeful Ron Paul, has support from the majority of white nationalist and supremacist groups in the US. Does that make him by unsolicited association a racist supremacist? raz-read the first part of the series. Moseley Braun chose to back known cCommunist Party fronts. Look out for part 3 which will detail CMB's close ties to another marxist organisation. As Ronald Reagan said of the KKK-"just because they support me, doesn't mean I support them!" However CMB wasn't just supported by the communists, she actively supported the communists. I stumbled upon your blog. Greetings from Cook County, Illinois, where we referred to the subject as "Carole Mostly Fraud." One of our strongest Chicago area bloggers is the Backyard Conservative http://backyardconservative.blogspot.com/ if you have any questions. I am no expert, but the blogs that link at the Backyard Conservative--including me--would be happy to help you out on unravelling this piece of your puzzle.